After carving these interwoven designs from wax, we have made five separate pieces that we link together (before we attach the chains). 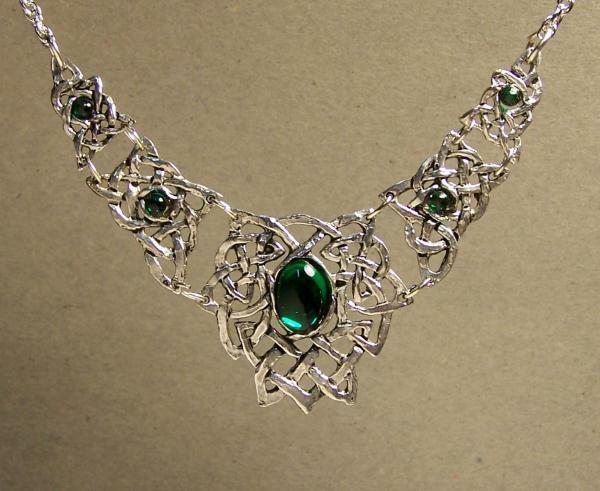 This lets the neckpiece lay along the curves of your neck instead of being stiff. We make it by hand from lead-free pewter with Austrian crystals.